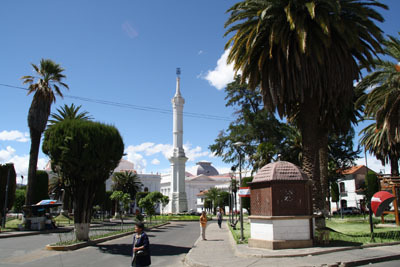 In the centre of the small Plaza de la Libertad stands the big Obelisk that measures 29 metres of height. 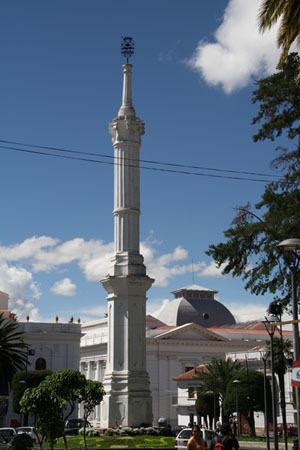 It was designed of the last governor of the Real Audiencia de Charcas, Ramón García Pizzaro. In the north-western part of the plaza there is the Gran Mariscal Theatre with its beautiful front. It is one of the buildings that was built in a neoclasical french style at the beginning of the 20th century.